Fine art watercolor painting of a child playing in the sand at the beach. 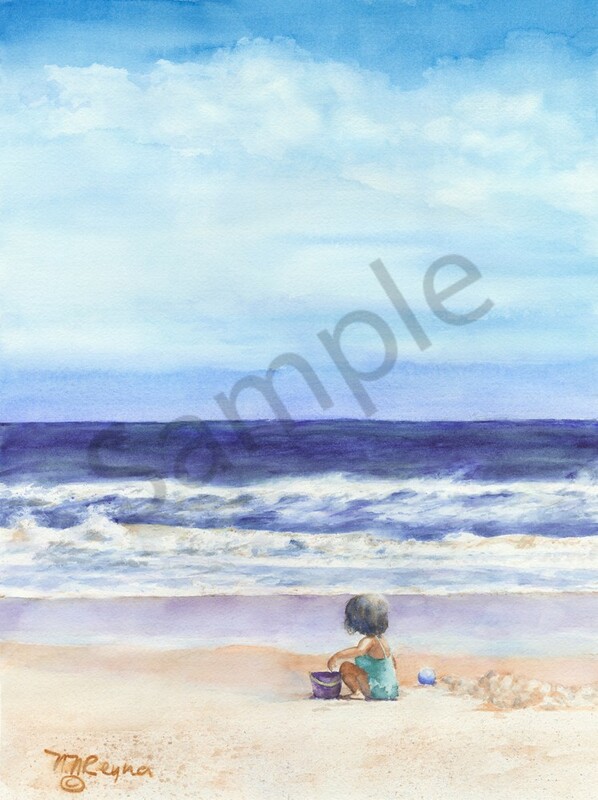 Watercolor painting of a little child filling her pail with sand. The serious work of her play, with the great expanse of the sea and sky as her background seem like a metaphor for our lives.